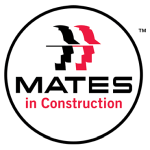 MATES in Construction is a charity established in 2008 to reduce the high level of suicide among Australian construction workers. We are unique in that we foster ownership and control of the program with the Australian building and construction industry. You can find us in Queensland, New South Wales, South Australia and Western Australia. Our national body MATES in Construction Australia commenced in October 2013. We were established in response to a major report on suicide [the AISRAP Report] within the Queensland Commercial Building and Construction Industry. This report found that suicide rates in the industry were higher than the Australian average for men, and that youth suicide within the industry could be as much as 2.38 times common than amongst other young Australian men.